1. For many years, people’s traditional means of belief (that of Christianity, one of the world’s three major religions) has been to read the Bible; departure from the Bible is not the belief in the Lord, departure from the Bible is heterodoxy and heresy, and even when people read other books, the foundation of these books must be the explanation of the Bible. Which is to say, if you say you believe in the Lord, then you must read the Bible, you must eat and drink the Bible, and outside the Bible you must not worship any book that does not involve the Bible. If you do, then you are betraying God. From the time when there was the Bible, people’s belief in the Lord has been the belief in the Bible. Instead of saying people believe in the Lord, it is better to say they believe in the Bible; rather than saying they have begun reading the Bible, it is better to say they have begun believing in the Bible; and rather than saying they have returned before the Lord, it would be better to say they have returned before the Bible. In this way, people worship the Bible as if it were God, as if it were their lifeblood and losing it would be the same as losing their life. People see the Bible as being as high as God, and there are even those who see it as higher than God. If people are without the work of the Holy Spirit, if they cannot feel God, they can carry on living—but as soon as they lose the Bible, or lose the famous chapters and sayings from the Bible, then it is as if they have lost their life. And so, as soon as people believe in the Lord they begin reading the Bible, and memorizing the Bible, and the more of the Bible they are able to memorize, the more this proves that they love the Lord and are of great faith. Those who have read the Bible and can speak of it to others are all good brothers and sisters. For all these years, people’s faith and loyalty to the Lord has been measured according to the extent of their understanding of the Bible. Most people simply don’t understand why they should believe in God, nor how to believe in God, and do nothing but search blindly for clues to decipher the chapters of the Bible. People have never pursued the direction of the work of the Holy Spirit; all along, they have done nothing but desperately study and investigate the Bible, and no one has ever found newer work of the Holy Spirit outside of the Bible, no one has ever departed from the Bible, nor have they ever dared to depart from the Bible. People have studied the Bible for all these years, they have come up with so many explanations, and put in so much work; they also have many differences of opinion about the Bible, which they debate endlessly, such that over two thousand different denominations have been formed today. They all want to find some special explanations, or more profound mysteries in the Bible, they want to explore it, and to find in it the background to Jehovah’s work in Israel, or the background to Jesus’ work in Judea, or more mysteries that no one else knows. People’s approach to the Bible is one of obsession and faith, and no one can be completely clear about the inside story or substance of the Bible. So, today people still have an indescribable sense of magicalness when it comes to the Bible; even more than that, they are obsessed with it, and have faith in it. Today, everyone wants to find the prophecies of the work of the last days in the Bible, they want to discover what work God does during the last days, and what signs there are for the last days. In this way, their worship of the Bible becomes more fervent, and the closer it gets to the last days, the more credence they give to the prophecies of the Bible, particularly those about the last days. With such blind belief in the Bible, with such trust in the Bible, they have no desire to seek the work of the Holy Spirit. In people’s conceptions, they think that only the Bible can bring the work of the Holy Spirit; only in the Bible can they find the footsteps of God; only in the Bible are hidden the mysteries of God’s work; only the Bible—not other books or people—can clarify everything of God and the entirety of His work; the Bible can bring the work of heaven to earth; and the Bible can both begin and conclude the ages. With these conceptions, people have no inclination to search for the work of the Holy Spirit. So, regardless of how much of a help the Bible was to people in the past, it has become an obstacle to God’s latest work. Without the Bible, people can search for the footsteps of God elsewhere, yet today, His footsteps have been contained by the Bible, and extending His latest work has become double difficult, and an uphill struggle. This is all because of the famous chapters and sayings from the Bible, as well as the various prophecies of the Bible. The Bible has become an idol in people’s minds, it has become a puzzle in their brains, and they are simply incapable of believing that God can work exclusive of the Bible, they are incapable of believing that people can find God outside of the Bible, much less are they able to believe that God could depart from the Bible during the final work and start anew. This is unthinkable to people; they can’t believe it, and neither can they imagine it. The Bible has become a great obstacle to people’s acceptance of God’s new work, and a difficulty to God’s broadening this new work. 2. Prior to the Age of Grace people read the Bible, but at that time there was only the Old Testament; there was no New Testament. Since there was the Old Testament of the Bible, people began reading the holy scriptures. After Jehovah’s guidance of him had finished, Moses wrote Genesis, Exodus, and Deuteronomy…. He recalled Jehovah’s work at the time, and wrote it down. The Bible is a book of history. Of course, it also contains some of the foretellings of prophets, and these foretellings are by no means history. The Bible includes several parts—there is not just prophecy, or only the work of Jehovah, nor are there only the Pauline epistles. You must know how many parts the Bible includes; the Old Testament contains Genesis, Exodus…, and there are also the books of prophecy that the prophets wrote. At the end, the Old Testament finishes with the Book of Malachi. It records the work of the Age of Law, which was led by Jehovah; from Genesis to the Book of Malachi, it is a comprehensive record of all the work of the Age of Law. Which is to say, the Old Testament records all that was experienced by the people who were guided by Jehovah in the Age of Law. During the Old Testament Age of Law, the great number of prophets raised up by Jehovah spoke prophecy for Him, they gave instructions to various tribes and nations, and foretold the work that Jehovah would do. These people who had been raised up had all been given the Spirit of prophecy by Jehovah: They were able to see the visions from Jehovah, and hear His voice, and thus they were inspired by Him and wrote prophecy. The work they did was the expression of the voice of Jehovah, it was the work of prophecy that they did on behalf of Jehovah, and Jehovah’s work at the time was simply to guide people using the Spirit; He did not become flesh, and people saw nothing of His face. Thus, He raised up many prophets to do His work, and gave them oracles that they passed on to every tribe and clan of Israel. Their work was to speak prophecy, and some of them wrote down Jehovah’s instructions to them to show to others. Jehovah raised these people up to speak prophecy, to foretell the work of the future or the work still to be done during that time, so that people could behold the wondrousness and wisdom of Jehovah. These books of prophecy were quite different from the other books of the Bible; they were words spoken or written by those who had been given the Spirit of prophecy—by those who had gained the visions or voice from Jehovah. Apart from the books of prophecy, everything else in the Old Testament is records made by people after Jehovah had finished His work. These books can’t stand in for the foretellings spoken by the prophets raised up by Jehovah, just as Genesis and Exodus can’t be compared to the Book of Isaiah and the Book of Daniel. The prophecies were spoken before the work had been carried out; the other books, meanwhile, were written after it had been finished, which was what people were capable of. … In this way, what is recorded in the Bible is purely the work in Israel at that time. The words spoken by the prophets, by Isaiah, Daniel, Jeremiah, and Ezekiel … their words foretell His other work on earth, they foretell the work of Jehovah God Himself. All this came from God, it was the work of the Holy Spirit, and apart from these books of the prophets, everything else is a record of people’s experiences of Jehovah’s work at the time. 3. The work of creation happened before there was mankind, but the Book of Genesis only came after there was mankind; it was a book written by Moses during the Age of Law. It’s like the things that happen among you today: After they happen, you write them down to show to people in the future, and for the people of the future, what you recorded are things that happened in times past—they are nothing more than history. The things recorded in the Old Testament are Jehovah’s work in Israel, and that which is recorded in the New Testament is the work of Jesus during the Age of Grace; they document the work done by God in two different ages. The Old Testament documents the work of God during the Age of Law, and thus the Old Testament is a historical book, while the New Testament is the product of the work of the Age of Grace. When the new work began, it also became out of date—and thus, the New Testament is also a historical book. Of course, the New Testament is not as systematic as the Old Testament, nor does it record as many things. 4. What kind of book is the Bible? The Old Testament is the work of God during the Age of Law. The Old Testament of the Bible records all the work of Jehovah during the Age of Law and His work of creation. All of it records the work done by Jehovah, and it ultimately ends the accounts of Jehovah’s work with the Book of Malachi. The Old Testament records two pieces of work done by God: One is the work of the creation, and one is decreeing of the law. Both were the work done by Jehovah. The Age of Law represents the work under the name of Jehovah God; it is the entirety of the work carried out primarily under the name of Jehovah. Thus, the Old Testament records the work of Jehovah, and the New Testament records the work of Jesus, work which was carried out primarily under the name of Jesus. The significance of Jesus’ name and the work He did are mostly recorded in the New Testament. 5. If you wish to see the work of the Age of Law, and to see how the Israelites followed the way of Jehovah, then you must read the Old Testament; if you wish to understand the work of the Age of Grace, then you must read the New Testament. But how do you see the work of the last days? You must accept the leadership of the God of today, and enter into the work of today, for this is the new work, and no one has previously recorded it in the Bible. Today, God has become flesh and selected other chosen ones in China. God works in these people, He continues on from His work on earth, continues on from the work of the Age of Grace. The work of today is a path that man has never walked, and a way that no one has ever seen. It is work that has never been done before—it is God’s latest work on earth. Thus, work that has never been done before is not history, because now is now, and has yet to become the past. People don’t know that God has done greater, newer work on earth, and outside of Israel, that it has already gone beyond the scope of Israel, and beyond the foretellings of the prophets, that it is new and marvelous work outside of the prophecies, and newer work beyond Israel, and work that people can neither perceive nor imagine. How could the Bible contain explicit records of such work? Who could have recorded every single bit of today’s work, without omission, in advance? Who could record this mightier, wiser work that defies convention in the moldy old book? The work of today is not history, and as such, if you wish to walk the new path of today, then you must depart from the Bible, you must go beyond the books of prophecy or history in the Bible. Only then will you be able to walk the new path properly, and only then will you be able to enter into the new realm and the new work. You must understand why, today, you are asked not to read the Bible, why there is another work that is separate from the Bible, why God does not look for newer, more detailed practice in the Bible, why there is instead mightier work outside of the Bible. This is all what you should understand. You must know the difference between the old and new work, and even though you do not read the Bible, you must be able to dissect it; if not, you will still worship the Bible, and it will be difficult for you to enter into the new work and undergo new changes. 6. Since there is a higher way, why study that low, outdated way? Since there are newer utterances, and newer work, why live amid old historical records? The new utterances can provide for you, which proves that this is the new work; the old records can’t sate you, or satisfy your current needs, which proves that they are history, and not the work of the here and now. The highest way is the newest work, and with the new work, no matter how high the way of the past, it is still the history of people’s reflections, and no matter its value as reference, it is still the old way. Even though it is recorded in the “holy book,” the old way is history; even though there is no record of it in the “holy book,” the new way is of the here and now. This way can save you, and this way can change you, for this is the work of the Holy Spirit. 7. The Bible is a historical book, and if you had eaten and drunk the Old Testament during the Age of Grace—if you had put into practice what was required in the time of the Old Testament during the Age of Grace—Jesus would have rejected you, and condemned you; if you had applied the Old Testament to the work of Jesus, you would have been a Pharisee. If, today, you put the Old and New Testament together to eat and drink, and practice, then the God of today will condemn you; you will have fallen behind the Holy Spirit’s work of today! If you eat and drink the Old Testament and the New Testament, then you are outside the stream of the Holy Spirit! During the time of Jesus, Jesus led the Jews and all those who followed Him according to the Holy Spirit’s work in Him at the time. He didn’t take the Bible as the basis of what He did, but spoke according to His work; He paid no heed to what the Bible said, nor did He search in the Bible for a path to lead His followers. Right from when He began to work, He spread the way of repentance—a word of which there was absolutely no mention in the prophecies of the Old Testament. Not only did He not act according to the Bible, but He also led a new path, and did new work. Never did He refer to the Bible when He preached. During the Age of Law, no one had ever been able to perform His miracles of healing the sick and casting out demons. So, too, were His work, His teachings, and the authority and power of His words beyond any man during the Age of Law. Jesus simply did His newer work, and even though many people condemned Him using the Bible—and even used the Old Testament to crucify Him—His work surpassed the Old Testament; if this were not so, why did people nail Him to the cross? Was it not because it said nothing in the Old Testament of His teaching, and His ability to heal the sick and cast out demons? His work was in order to lead a new path, it was not to deliberately pick a fight against the Bible, or to deliberately dispense with the Old Testament. He simply came to perform His ministry, to bring the new work to those who yearned for and sought Him. He didn’t come to explain the Old Testament or uphold its work. His work was not in order to allow the Age of Law to continue developing, for His work gave no consideration to whether it had the Bible as its base; Jesus simply came to do the work that He ought to do. Thus, He did not explain the prophecies of the Old Testament, nor did He work according to the words of the Old Testament Age of Law. He ignored what the Old Testament said, He cared not whether it agreed with His work or not, and cared not what others knew of His work, or how they condemned it. He simply kept doing the work that He ought to do, even though many people used the foretellings of the prophets of the Old Testament to condemn Him. To people, it appeared as if His work had no basis, and there was much of it that was at odds with the records of the Old Testament. Is this not folly? Does doctrine need to be applied to the work of God? And must it be according to the foretellings of prophets? After all, which is greater: God or the Bible? Why must God’s work be according to the Bible? Could it be that God has no right to exceed the Bible? Can God not depart from the Bible and do other work? Why did Jesus and His disciples not keep the Sabbath? If He were to keep the Sabbath and practice according to the commandments of the Old Testament, why did Jesus not keep the Sabbath after He came, but instead washed feet, covered head, broke bread, and drank wine? Isn’t this all absent from the commandments of the Old Testament? If Jesus honored the Old Testament, why did He defy these doctrines? You should know which came first, God or the Bible! Being the Lord of the Sabbath, could He not also be the Lord of the Bible? 8. The Bible is also called the Old and New Testament. Do you know what “testament” refers to? The “testament” in the Old Testament comes from Jehovah’s covenant with the people of Israel when He killed the Egyptians and saved the Israelites from the Pharaoh. Of course, the proof of this covenant was the lamb’s blood daubed on lintels, through which God established a covenant with man, one in which it was said that all those who had lamb’s blood on the top and sides of the doorframe were Israelites, they were God’s chosen people, and they would all be spared by Jehovah (for Jehovah was then about to kill all the firstborn sons of Egypt and firstborn sheep and cattle). This covenant has two levels of meaning. None of the people or livestock of Egypt would be delivered by Jehovah; He would kill all of their firstborn sons and firstborn sheep and cattle. Thus, in many books of prophecy it was foretold that the Egyptians would be severely chastised as a result of the covenant of Jehovah. This is the covenant’s first level of meaning. Jehovah killed the firstborn sons of Egypt and all its firstborn livestock, and He spared all the Israelites, which meant that all those who were of the land of Israel were cherished by Jehovah, and would all be spared; He wished to do long-term work in them, and established the covenant with them using lamb’s blood. From then onward, Jehovah would not kill the Israelites, and said that they would forever be His chosen ones. Among the twelve tribes of Israel, He would embark upon His work for the entire Age of Law, He would open up all His laws to the Israelites, and choose among them prophets and judges, and they would be at the center of His work. Jehovah made a covenant with them: Unless the age changed, He would work only among the chosen ones. Jehovah’s covenant was immutable, for it was made in blood, and was established with His chosen people. More important, He had chosen an appropriate scope and target through which to embark upon His work for the whole age, and so people saw the covenant as especially important. This is the covenant’s second level of meaning. With the exception of Genesis, which was before the establishment of the covenant, all the other books in the Old Testament record God’s work among the Israelites after the establishment of the covenant. Of course, there are occasional accounts of the Gentiles, but overall, the Old Testament documents God’s work in Israel. Because of Jehovah’s covenant with the Israelites, the books written during the Age of Law are called the “Old Testament.” They are named after Jehovah’s covenant with the Israelites. 9. The New Testament is named after the blood shed by Jesus on the cross and His covenant with all those who believed in Him. Jesus’ covenant was this: People had but to believe in Him for their sins to be forgiven by His bloodshed, and thus they would be saved, and reborn through Him, and would no longer be sinners; people had but to believe in Him to receive His grace, and would not suffer in hell after they died. All of the books written during the Age of Grace came after this covenant, and they all document the work and utterances contained in it. They go no further than the salvation of the Lord Jesus’ crucifixion or the covenant; they are all books written by the brothers in the Lord who had experiences. Thus, these books are also named after a covenant: They are called the New Testament. These two testaments include only the Age of Grace and the Age of Law, and have no connection with the final age. Thus, the Bible is of no great use for today’s people of the last days. At most, it serves as a provisional reference, but it basically has little use value. 10. Not everything in the Bible is a record of the words personally spoken by God. The Bible simply documents the previous two stages of God’s work, of which one part is a record of the foretellings of the prophets, and one part is the experiences and knowledge written by people used by God throughout the ages. Human experiences are tainted with human opinions and knowledge, which is unavoidable. In many of the books of the Bible are human conceptions, human biases, and human absurd interpretations. Of course, most of the words are the result of the enlightenment and illumination of the Holy Spirit, and they are correct interpretations—yet it still cannot be said that they are entirely accurate expressions of the truth. Their views on certain things are nothing more than the knowledge of personal experience, or the enlightenment of the Holy Spirit. The foretellings of the prophets were personally instructed by God: The prophecies of Isaiah, Daniel, Ezra, Jeremiah, and Ezekiel came from the direct instruction of the Holy Spirit, these people were seers, they had received the Spirit of prophecy, they were all prophets of the Old Testament. During the Age of Law these people, who had received the inspirations of Jehovah, spoke many prophecies, which were directly instructed by Jehovah. And why did Jehovah work in them? Because the people of Israel were God’s chosen people: The work of prophets had to be done among them, and they were qualified to receive such revelations. In fact, they themselves didn’t understand God’s revelations to them. The Holy Spirit spoke those words through their mouths so that the people of the future could comprehend those things, and see that they really were the work of the Spirit of God, of the Holy Spirit, and did not come from man, and to give them confirmation of the Holy Spirit’s work. 11. Today, people believe the Bible is God, and that God is the Bible. So, too, do they believe that all the words of the Bible were the only words God spoke, and that they were all said by God. Those who believe in God even think that although all of the sixty-six books of the Old and New Testament were written by people, they were all given by inspiration of God, and a record of the utterances of the Holy Spirit. This is the erroneous interpretation of people, and it does not completely accord with the facts. In fact, apart from the books of prophecy, most of the Old Testament is historical record. Some of the epistles of the New Testament come from people’s experiences, and some come from the enlightenment of the Holy Spirit; the Pauline epistles, for example, arose from the work of a man, they were all the result of the Holy Spirit’s enlightenment, and they were written for the churches, were words of exhortation and encouragement for the brothers and sisters of the churches. They were not words spoken by the Holy Spirit—Paul could not speak on behalf of the Holy Spirit, and neither was he a prophet, much less did he see visions that John beheld. His epistles were written for the churches of Ephesus, Philadelphia, Galatia, and other churches. And thus, the Pauline epistles of the New Testament are epistles that Paul wrote for the churches, and not inspirations from the Holy Spirit, nor are they the direct utterances of the Holy Spirit. They are merely words of exhortation, comfort, and encouragement that he wrote for the churches during the course of his work. So, too, are they a record of much of Paul’s work at the time. They were written for all of the brothers and sisters in the Lord, and were in order to make the brothers and sisters of all of the churches at the time follow his advice and abide by all of the ways of the Lord Jesus. By no means did Paul say that, be they the churches of that time or of the future, all must eat and drink the things he wrote, nor did he say that his words all came from God. According to the circumstances of the church at that time, he simply communed with the brothers and sisters, and exhorted them, and inspired belief in them; and he simply preached or reminded people and exhorted them. His words were based upon his own burden, and he supported the people through these words. He did the work of an apostle of the churches of that time, he was a worker who was used by the Lord Jesus, and thus he was given the responsibility of the churches, he was charged with carrying out the work of the churches, he had to learn about the situations of the brothers and sisters—and because of this, he wrote epistles for all of the brothers and sisters in the Lord. All he said that was edifying and positive to people was right, but it did not represent the utterances of the Holy Spirit, and he could not represent God. It is an egregious understanding, and a tremendous blasphemy, for people to treat the records of a man’s experiences and a man’s epistles as the words spoken by the Holy Spirit to the churches! That is particularly true when it comes to the epistles that Paul wrote for the churches, for his epistles were written for the brothers and sisters based on the circumstances and situation of each church at the time, and were in order to exhort the brothers and sisters in the Lord, so that they could receive the grace of the Lord Jesus. His epistles were in order to rouse the brothers and sisters of that time. It can be said that this was his own burden, and was also the burden given to him by the Holy Spirit; after all, he was an apostle who led the churches of the time, who wrote epistles for the churches and exhorted them—that was his responsibility. His identity was merely that of a working apostle, and he was merely an apostle who was sent by God; he was not a prophet, nor a foreteller. So to him, his own work and the lives of the brothers and sisters were of the utmost importance. Thus, he could not speak on behalf of the Holy Spirit. His words were not the words of the Holy Spirit, much less could they be said to be the words of God, for Paul was nothing more than a creature of God, and was certainly not the incarnation of God. His identity was not the same as that of Jesus. The words of Jesus were the words of the Holy Spirit, they were the words of God, for His identity was that of Christ—the Son of God. How could Paul be His equal? If people see the epistles or words like Paul’s as the utterances of the Holy Spirit, and worship them as God, then it can only be said that they are too indiscriminating. To speak more harshly, isn’t this nothing but blasphemy? How could a man talk on behalf of God? And how could people bow down before the records of his epistles and of the words he spoke as if they were a holy book, or a heavenly book? Could the words of God be casually uttered by a man? How could a man talk on behalf of God? And so, what say you—could the epistles that he wrote for the churches not be tainted with his own ideas? How could they not be tainted with human ideas? He wrote epistles for the churches based on his personal experiences and the extent of his own life. For instance, Paul wrote an epistle to the Galatian churches which contained a certain opinion, and Peter wrote another, which had another view. Which of them came from the Holy Spirit? No one can say for sure. Thus, it can only be said that they both bore a burden for the churches, yet their letters represent their stature, they represent their provision and support for the brothers and sisters, and their burden toward the churches, and they only represent human work; they were not entirely of the Holy Spirit. If you say that his epistles are the words of the Holy Spirit, then you are absurd, and you are committing blasphemy! The Pauline epistles and the other epistles of the New Testament are equivalent to the memoirs of the more recent spiritual figures. They are on a par with the books of Watchman Nee or the experiences of Lawrence, and so on. It’s simply that the books of recent spiritual figures are not compiled into the New Testament, yet the substance of these people is the same: They were people who were used by the Holy Spirit during a certain period, and they could not directly represent God. 12. The Gospel of Matthew of the New Testament documents Jesus’ genealogy. At the start, it says that Jesus was a descendant of Abraham, the son of David, and the son of Joseph; next it says that Jesus was conceived by the Holy Spirit, and born of a virgin—which would mean He was not the son of Joseph or the descendant of Abraham, that He was not the son of David. The genealogy, though, insists on associating Jesus with Joseph. Next, the genealogy begins to record the process by which Jesus was born. It says Jesus was conceived by the Holy Spirit, that He was born of a virgin, and not the son of Joseph. Yet in the genealogy it is clearly written that Jesus was the son of Joseph, and because the genealogy is written for Jesus, it records forty-two generations. When it goes to the generation of Joseph, it hurriedly says that Joseph was the husband of Mary, words which are in order to prove that Jesus was the descendant of Abraham. Is this not a contradiction? The genealogy clearly documents Joseph’s ancestry, it is obviously the genealogy of Joseph, but Matthew insists that it is the genealogy of Jesus. Does this not deny the fact of Jesus’ conception by the Holy Spirit? Thus, is the genealogy by Matthew not a human idea? It is ridiculous! In this way, you know that this book did not come entirely from the Holy Spirit. There are, perhaps, some people who think that God must have a genealogy on earth, as a result of which they assign Jesus as the forty-second generation of Abraham. That is really ridiculous! After arriving on earth, how could God have a genealogy? If you say that God has a genealogy, do you not rank Him among the creatures of God? For God is not of the earth, He is the Lord of creation, and although He is of flesh, He is not of the same essence as man. How could you rank God as of the same kind as a creature of God? Abraham cannot represent God; he was the object of Jehovah’s work at the time, he was merely a faithful servant approved of by Jehovah, and he was one of the people of Israel. How could he be an ancestor of Jesus? 13. The books of gospel of the New Testament were recorded twenty to thirty years after Jesus was crucified. Before, the people of Israel only read the Old Testament. That is to say, at the beginning of the Age of Grace people read the Old Testament. The New Testament only appeared during the Age of Grace. The New Testament didn’t exist when Jesus worked; the people after He was resurrected and ascended to heaven recorded His work. Only then were there the Four Gospels, in addition to which were also the epistles of Paul and Peter, as well as the Book of Revelation. Only over three hundred years after Jesus ascended to heaven, when subsequent generations collated their records, was there the New Testament. Only after this work had been completed was there the New Testament; it had not existed previously. God had done all that work, the apostle Paul had done all that work, and afterward the epistles of Paul and Peter combined, and the greatest vision recorded by John in the island of Patmos was put the last, for it prophesied the work of the last days. These were all the arrangements of later generations, and they are different to the utterances of today. What is recorded today is according to the steps of God’s work; what people engage with today is the work personally done by God, and the words personally uttered by Him. You don’t need to interfere—the words, which come directly from the Spirit, have been arranged step by step, and are different from the arrangement of man’s records. What they recorded, it can be said, was according to their level of education and human caliber. What they recorded was the experiences of men, and each had their own means of recording and knowing, and each record was different. Thus, if you worship the Bible as God you are extremely ignorant and stupid! Why do you not seek the work of the God of today? Only the work of God can save man. The Bible cannot save man, they could read it for several thousand years and still there would not be the slightest change in them, and if you worship the Bible you will never gain the work of the Holy Spirit. 14. 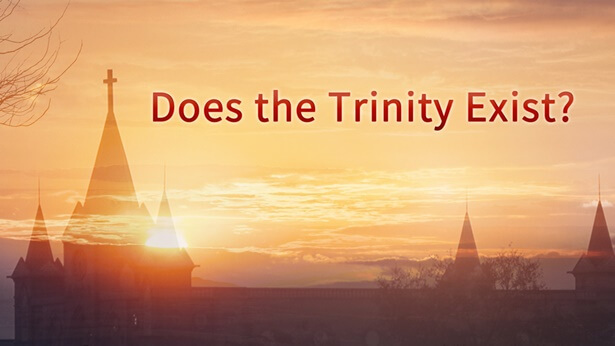 Many people believe that understanding and being able to interpret the Bible is the same as finding the true way—but in fact, are things really so simple? No one knows the reality of the Bible: that it is nothing more than a historical record of God’s work, and a testament to the previous two stages of God’s work, and offers you no understanding of the aims of God’s work. Everyone who has read the Bible knows that it documents the two stages of God’s work during the Age of Law and the Age of Grace. The Old Testament chronicles the history of Israel and Jehovah’s work from the time of creation until the end of the Age of Law. The New Testament records Jesus’ work on earth, which is in the Four Gospels, as well as the work of Paul; are they not historical records? Bringing up the things of the past today makes them history, and no matter how true or real they might be, they are still history—and history cannot address the present. For God does not look back on history! And so, if you only understand the Bible, and understand nothing of the work God intends to do today, and if you believe in God but do not seek the work of the Holy Spirit, then you do not understand what it means to seek God. If you read the Bible in order to study the history of Israel, to research the history of God’s creation of all the heavens and earth, then you do not believe in God. But today, since you believe in God, and pursue life, since you pursue the knowledge of God, and do not pursue dead letters and doctrines, or an understanding of history, you must seek God’s will of today, and must look for the direction of the Holy Spirit’s work. If you were an archeologist you could read the Bible—but you are not, you are one of those who believe in God, and you’d best seek God’s will of today. 16. Today, I am dissecting the Bible in this way and it does not mean that I hate it, or deny its value for reference. I am explaining and clarifying the inherent value and origins of the Bible to you to stop you being kept in the dark. For people have so many views about the Bible, and most of them are wrong; reading the Bible in this way not only prevents them from gaining what they ought to, but, more important, it hinders the work I intend to do. It is a tremendous nuisance for the work of the future, and offers only drawbacks, not advantages. Thus, what I am teaching you is simply the substance and inside story of the Bible. I’m not asking that you don’t read the Bible, or that you go around proclaiming that it is totally devoid of value, but that you have the correct knowledge and view of the Bible. Don’t be too one-sided! Although the Bible is a history book that was written by men, it also documents many of the principles by which the ancient saints and prophets served God, as well as the recent apostles’ experiences in serving God—all of which were really seen and known by these people, and can serve as reference for the people of this age in pursuing the true way. Thus, in reading the Bible people can also gain many ways of life that cannot be found in other books. These ways are the ways of life of the work of the Holy Spirit experienced by prophets and apostles in ages past, and many of the words are precious, and can provide what people need. Thus, people all like to read the Bible. Because there is so much hidden in the Bible, people’s views toward it are unlike those toward the writings of great spiritual figures. The Bible is a record and collection of the experiences and knowledge of people who served Jehovah and Jesus in the old and new age, and so later generations have been able to gain much enlightenment, illumination, and paths to practice from it. The reason why the Bible is higher than the writings of any great spiritual figure is because all of their writings are drawn from the Bible, their experiences all come from the Bible, and they all explain the Bible. And so, although people can gain provision from the books of any great spiritual figure, they still worship the Bible, for it seems so high and profound to them! Although the Bible brings together some of the books of the words of life, such as the Pauline epistles and Petrine epistles, and although people can be provided for and assisted by these books, these books are still out of date, they still belong to the old age, and no matter how good they are, they are only suitable for one period, and are not everlasting. For God’s work is always developing, and it can’t simply stop at the time of Paul and Peter, or always remain in the Age of Grace in which Jesus was crucified. And so, these books are only suitable for the Age of Grace, not for the Age of Kingdom of the last days. They can only provide for the believers of the Age of Grace, not for the saints of the Age of Kingdom, and no matter how good they are, they are still obsolete. It is the same with Jehovah’s work of creation or His work in Israel: No matter how great this work was, it was still outdated, and the time would still come when it passed. God’s work is also the same: It is great, but there will come a time when it ends; it cannot always remain amidst the work of the creation, nor among that of the crucifixion. No matter how convincing the work of the crucifixion, no matter how effective it was in defeating Satan, work is, after all, still work, and the ages are, after all, still ages; work cannot always stay on the same foundation, nor can times never change, because there was the creation and there must be the last days. This is inevitable! Thus, today the words of life in the New Testament—the epistles of the apostles, and the Four Gospels—have become historical books, they have become old almanacs, and how could the old almanacs take people into the new age? No matter how capable these almanacs are of providing people with life, no matter how able they are to lead people to the cross, are they not outdated? Are they not bereft of value? Thus, I say you should not blindly believe in these almanacs. They are too old, they cannot bring you into the new work, and they can only burden you. 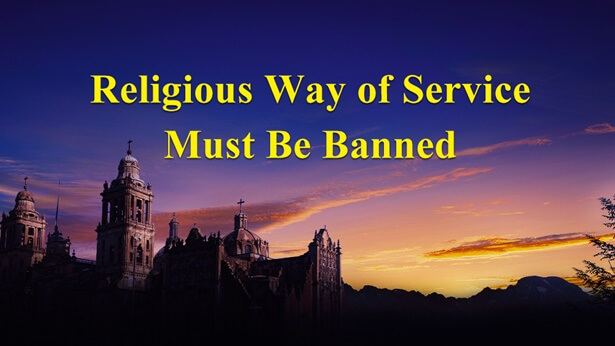 Not only can they not bring you into the new work, and into the new entry, but they take you into the old religious churches—and if so, are you not regressing in your belief in God? 17. To understand the Bible, to understand history, but not to understand what the Holy Spirit is doing today—that’s wrong! You’ve done very well in studying history, you’ve done a terrific job, but you understand nothing of the work the Holy Spirit does today. Is this not foolishness? Other people ask you: “What is God doing today? What should you enter into today? How is your pursuit of life going? Do you understand God’s will?” You’ll have no answer for what they ask—so what do you know? You will say: I’m only aware that I must turn my back on the flesh and know myself. And if they then ask “What else are you aware of?” you will say you also know to obey all of God’s arrangements, and understand a little of the history of the Bible, and that’s all. Is that all you’ve gained from believing in God all these years? If that’s all you understand, then you lack so much.